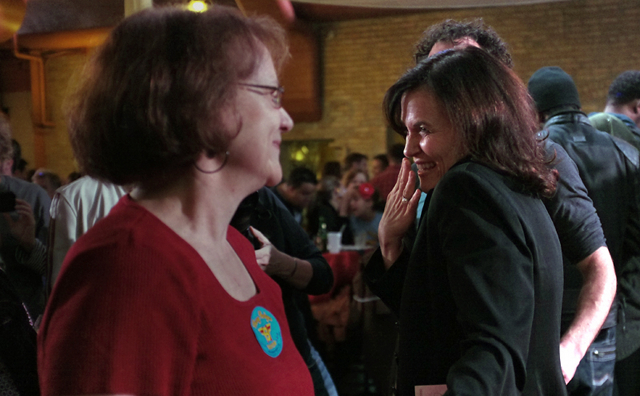 Sometime tomorrow it will be official that Betsy Hodges will become the second woman elected Mayor of Minneapolis. 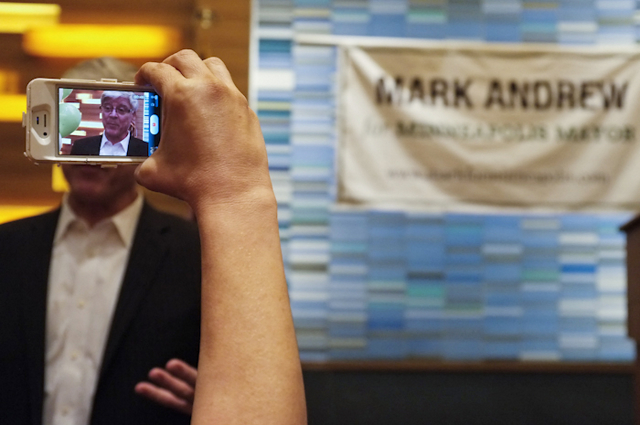 I’ll have more to say later along with more pictures after Minnpost runs their story, but my these are my two favorite pictures of the day. I was a bit nervous telling my photo editor that I wanted to go to all three parties and he didn’t need to hire anyone else, but it all worked out perfectly. Especially the results. Congratulations Betsy Hodges and team. Team Hodges was comprised of all of the best people I’ve gotten to know over the last 25 years of documenting politics. This was the cream of the crop and most have one thing in common. A connection with Paul Wellstone. Pat yourselves on the back Team Hodges. You did it. Once again the power of passionate grassroots organizing won over big $$$ and those who consider themselves the power elite who think they know what is “best” for the party. Guess what poobahs, it’s a new party!